For those summer months why not WOW your guests with Sharrons Event Catering Company’s BBQ catering services. It’s great for any occasion, from small intimate gatherings to large corporate functions, weddings, parties, formal or informal, the list is endless. We use the highest quality BBQ ingredients to produce fantastic BBQ food. Our menus are carefully designed to ensure that each and every dish will taste delicious. We serve a selection of traditional BBQ food from handmade burgers, a wide selection of sausages and fish to the more contemporary range of Tikka chicken skewers, tiger prawns marinated in lemongrass, minted lamb koftas, Haloumi and vegetable skewers, our BBQ chef will create a mouth watering display, cooked to absolute perfection. We can accompany your BBQ food with a selection of side dishes including, buttered corn on the cob, fried onions, garlic mushrooms, minted baby potatoes and crispy seasoned jacket potatoes, all of our dishes are accompanied by our tasty, beautifully presented homemade salads, freshly baked breads and quality plates and napkins. 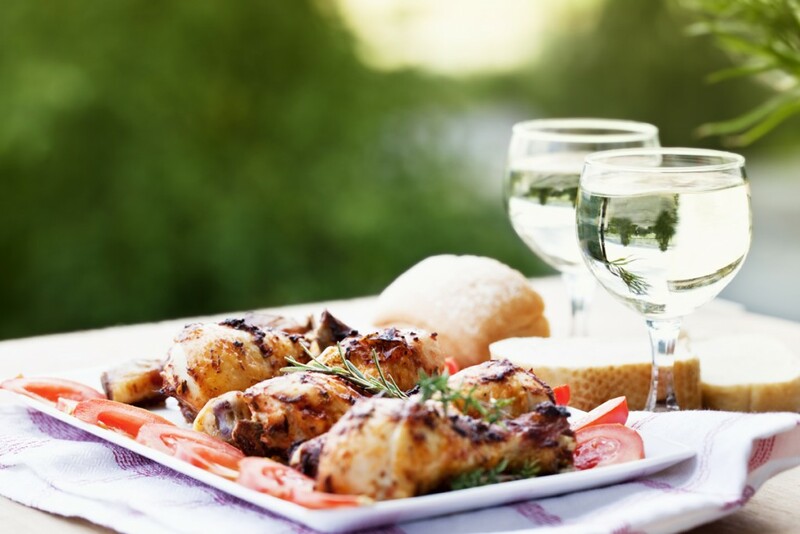 We understand you may have your own favourite barbeque food, so we are always happy to listen to and discuss your individual menu requirements. Sharrons Event catering Company’s reputation for event planning, as outside BBQ caterers and event management has grown by word-of-mouth for both the BBQ food and the BBQ services we provide. So whether you require the barbeque only service, a relaxed summer garden party or a lavish themed affair in a marquee our blend of experience, planning and attention to detail ensures a successful occasion every time. If you are having a barbeque in London and the south east of England including, Essex, Hertfordshire, Kent and surrounding areas. No matter the size of your BBQ, how simple or complex your requirement, please do call or email Sharrons Event Catering Company’s friendly event team to discuss your needs and receive a no obligation quotation.